Padstow has always been a bustling port for fisherman and home to boat builders, but within recent times it has become a destination that all sea-food lovers must experience. Located in a small valley on the River Camel, Padstow became a thriving fishing port and is still thriving to this day. However, there is more to Padstow than just sampling the local cuisine; the harbour is full of leisure boats of all shapes and sizes, ready to take you on tours and expeditions. There’s a ferry which can take you across the river to Rock, a little village boasting the most fantastic views! 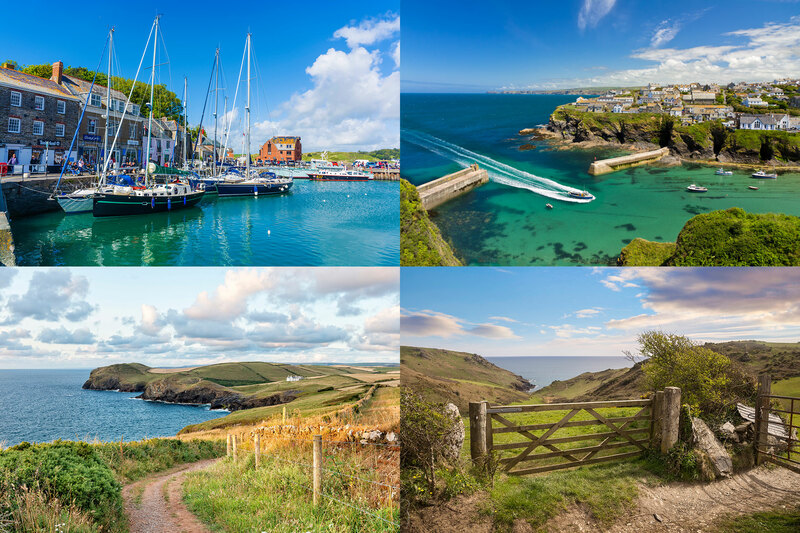 Padstow is a great place to make a base for the day whilst you explore the surrounding area. A section of the Camel Trail cycle track runs from Wadebridge to Padstow, which is a great route for all the family. It's also a fantastic place to go bird watching, as the area is home to many different species. Other places, such as the Bedruthan Steps and Constantine Bay are popular tourist destinations for their stunning views and beautiful beaches, with the latter being a well-renowned surfing beach. Wadebridge sits on the Camel Estuary between Port Isaac, home of the Doc Martin TV series, and the pretty harbour town of Padstow. It’s an excellent base for walkers and cyclists and positions you perfectly for seaside and outside fun on the North Cornwall coast. Within a few miles there are 10 golden sandy beaches, perfect for water born activities or seaside exploration. Padstow has always been a bustling port for fisherman and home to boat builders, but within recent times it has become a destination that all sea-food lovers must experience. Located in a small valley on the River Camel, Padstow became a thriving fishing port and is still thriving to this day. However, there is more to Padstow than just sampling the local cuisine; the harbour is full of leisure boats of all shapes and sizes, ready to take you on tours and expeditions. there is a ferry that can take you across the river to Rock, which is a little village boasting the most fantastic views! 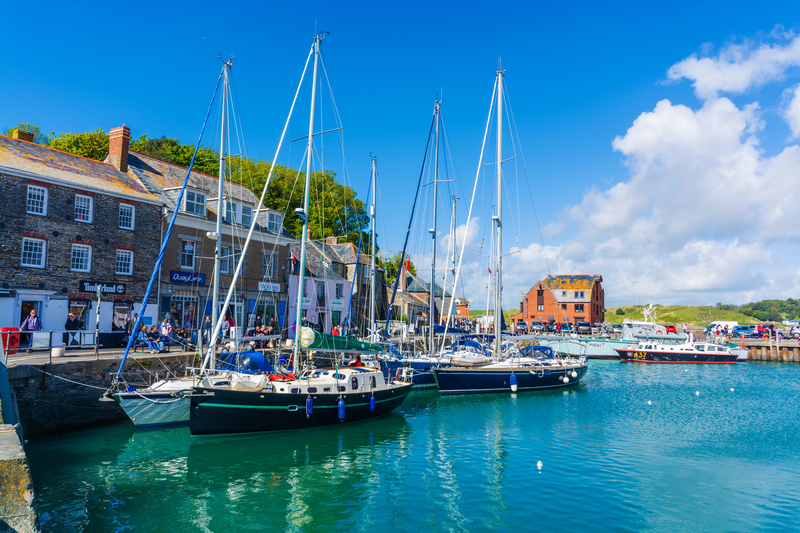 Padstow is a great place to make base for the day whilst you explore the surrounding area. A section of the Camel Trail cycle track runs from Wadebridge to Padstow, which is a great route for all the family. It's also a fantastic place to go bird watching, as the area is home to many different species of birds. Other places, such as the Bedruthan Steps and Constantine Bay, are popular tourist destinations for their stunning views and beautiful beaches, with the latter being a well-renowned surfing beach. I have lived most of my life in North Cornwall in and around the Camel Estuary for which I have a deep affection. I first came here to visit my parents in 1975 who had bought Williams Newsagents in Padstow. Then living in Essex, I came to Padstow for the weekend and never went back. If you have any questions at all then please get in touch with Steve and he’ll be happy to help.